Great teams are built and maintained with great intention, though they can make it look deceptively easy. Too many teams engage in dysfunctional behaviors or fall into territorialism, apathy, and unproductive relationships. The result? An overwhelmed, unengaged, and stressed-out workforce that settles for average or poor performance.Here, four authors with a combined century of management experience show readers how every team can be extraordinary. 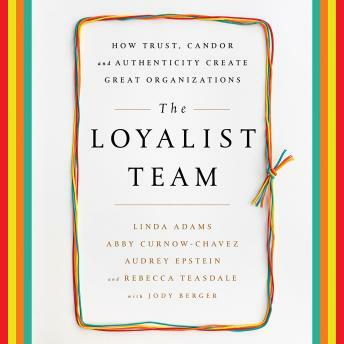 The authors introduce their field-tested Loyalist Team 3D assessment that allows anyone to get to the heart of why teams break down, identify the weaknesses in their own team, and build a Loyalist Team. This kind of team has members who ensure each other's success as they work to ensure their own, operate with absolute candor, and value loyalty and authenticity to deliver results, create a healthy work environment, and help companies succeed. The Loyalist Team is a must-read for anyone who wants their team to achieve extraordinary results.